Since his 2006 techno debut 'Increments' Peter Van Hoesen has been finetuning his intriguing interpretation of electronic dance music. His former experimental disguises Object, RM and Bent Object all saw albums released between 2001 and 2005. 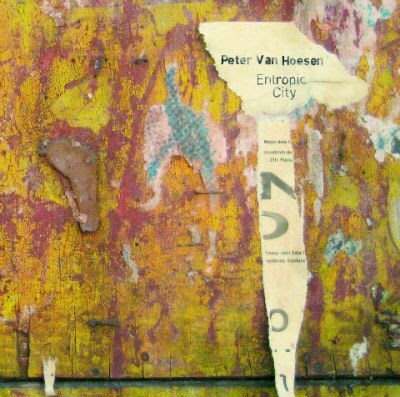 After a remarkable run of 12'' singles in 2009, Peter now presents Entropic City, his first full-length techno album. Entropic City is released on his own Time To Express imprint as a ten-track CD and digital album. 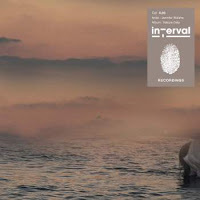 It follows the release of ''Entropic Minus Six'' which contains four of the album's tracks on 12'' vinyl. instead of indulging in a nostalgia for classic sounds and patterns, Peter has set out to create his own template. He brings forward his love for solid, sweaty techno, while at the same time opening up towards a slower, stretched-out sense of composition. As a result this album sums up nicely what techno in 2010 could be and should be about: distinctly forward-looking and simultaneously aware of past achievements. Voice – Breath – Signifier; Walshe’s debut release on Interval Recordings signifies the temporary hidden space, the interval, just about to be revealed. ‘Nature Data’, the album’s title, captures Walshe’s unique voice in the field of sonic arts and performance; as a becoming-animal, becoming-nature, her voice, breaths and all occurrences in between, audible and not, signifies that data, as nature, as presence. Jennifer Walshe was born in Dublin, Ireland in 1974. She studied composition with John Maxwell Geddes at the Royal Scottish Academy of Music and Drama, Kevin Volans in Dublin and graduated from Northwestern University, Chicago, with a doctoral degree in composition in June 2002. Jennifer’s work has been performed throughout Europe, the U.S. and Canada by ensembles such as Alter Ego, ensemble récherche, Ensemble Resonanz, Apartment House, ensemble Intégrales, Neue Vocalsolisten Stuttgart, Stuttgarter Kammerorchester, Schlagquartett Köln, Crash Ensemble, Musica Nova Ensemble and many others. In addition to her activities as a composer, Jennifer frequently performs as a vocalist, specializing in extended techniques. Many of her recent compositions were commissioned for her voice in conjunction with other instruments, and her works have been performed by her and others at numerous worldwide festivals.